Fresh peach puree, orange juice, and lime make this fun and fruity Peach Margarita extra fabulous! 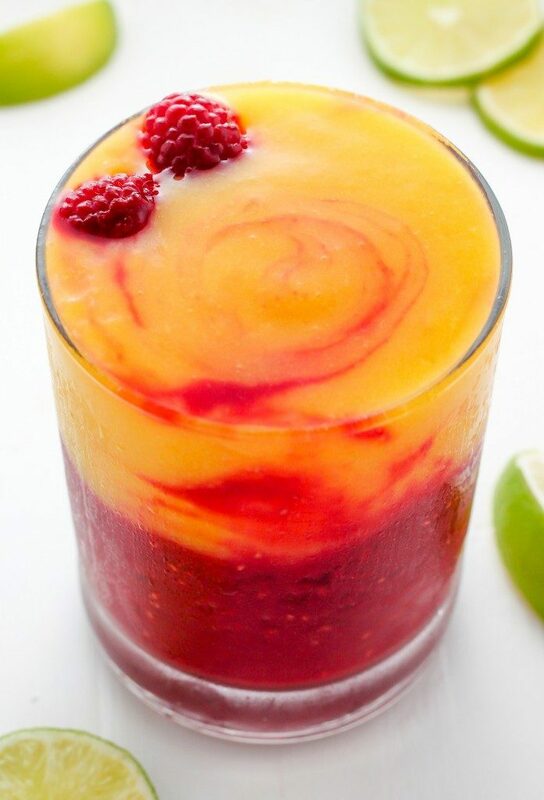 It’s the perfect Summer cocktail! Lately I’ve been all about the at-home happy hour. There’s just something about sitting out on our little patio – frosty margarita in hand – that makes Summer feel extra special. For so many years we lived in Brooklyn (and before that, Manhattan), so outdoor space – even a tiny one – feels completely luxurious. I must also admit I’m a total cocktail snob. While I’ll happily drink a Miller Lite or cheap red wine, there is no place in my life for those crappy flavorless // overpriced // way too sweet margaritas many bars churn out. Uh uh. No thanks! I just can’t. I just won’t. That’s where this utterly refreshing peach beauty comes in. The base of this drink is a fresh peach puree created by very simply blending peaches, orange juice, and the tiniest bit of sugar together until smooth. It’s up to you if you want to peel the peaches; I chose not to but I don’t mind a chunkier puree. Once the puree is ready, simply pour it into a few glasses, add ice, tequila, triple sec, and lime – then stir like crazy! You could also pour them into a cocktail shaker and combine them that way. The next time you’re looking to jazz up an evening at home, shake up this cheerful cocktail and sip away! P.S. Serve these cocktails with my Summertime Cheese & Charcuterie Board for the ultimate at-home happy hour experience. 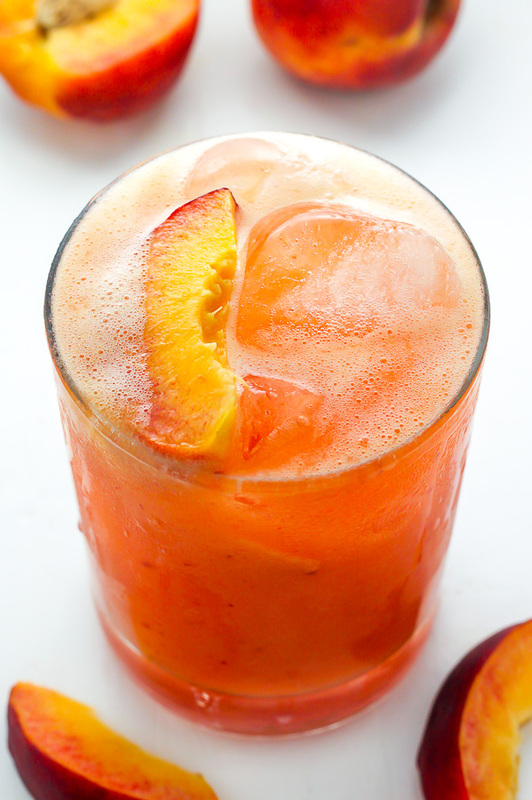 Fresh Peach Margaritas make an incredible Summer drink! Peel and pit the fresh peaches. 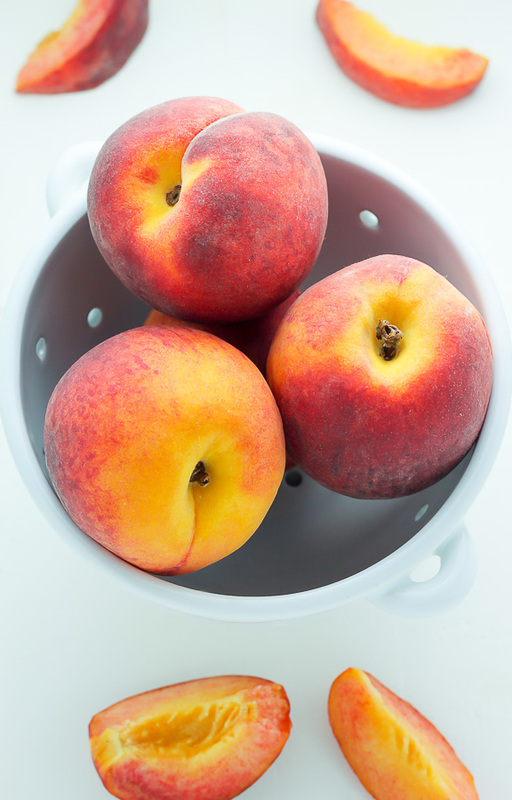 Combine the peaches, orange juice and sugar in the body of a blender; pulse until completely smooth. Divide the ingredients evenly into 4 large glasses full of ice; stir well to combine. Alternately you could do this individually in a cocktail shaker. Serve at once with a wedge of lime. My husband loves peach and his birthday is next week! I have to make him these. Thank you! These look super fruity and delicious! Yum! Yes and YES 🙂 Thank you, Millie! This version of margarita must very delicious! Husband made these last night. Very good but very strong! He loved them but I will cut the liquor in mine next time as I am a “light weight”. Thank you! Can you make these ahead of time and chill? Hi Emily. 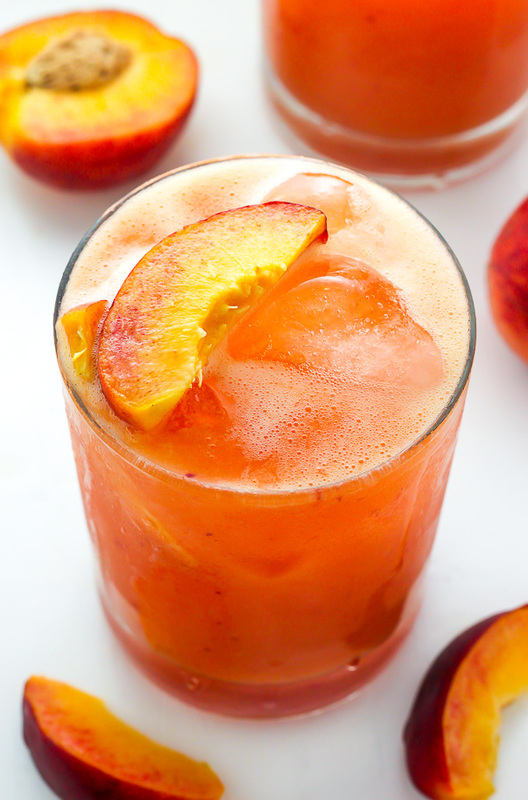 You could make the peach puree ahead of time, then make the drinks right before serving. 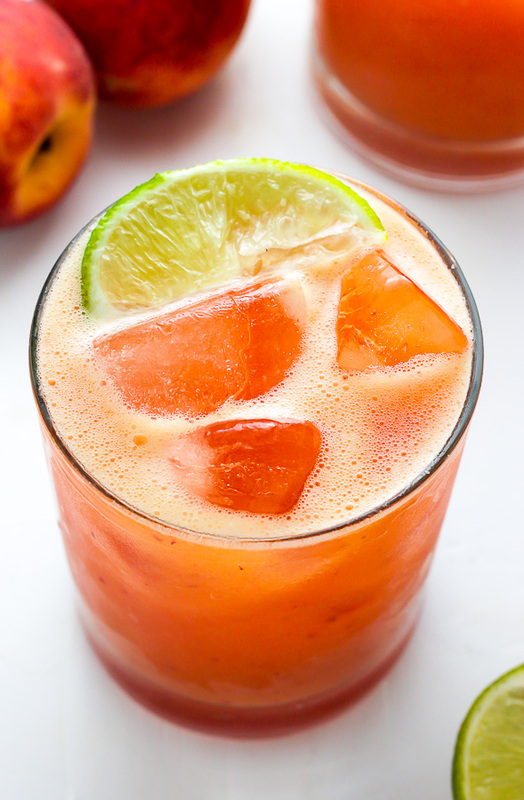 You could also add the peach puree and tequila to a large pitcher, chill for up to 24 hours, then just set out glasses, ice, and lime for your guests. This looks so good! Im ready for a pitcher or two right now! Yes! 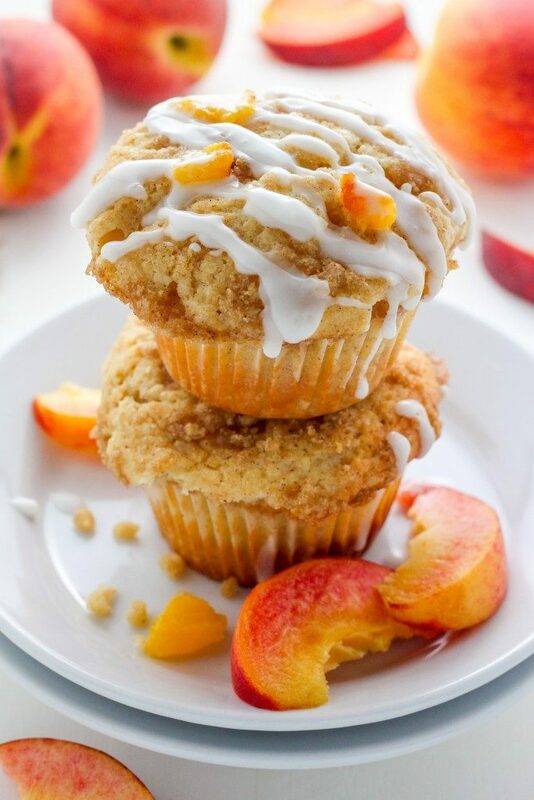 I love peaches and when they’re fresh, they’re so good! Plus, who doesn’t love a margarita!? Oh man, these look AMAZING! I want to be drinking one right now! The colors in this are unreal! This looks amazing, I love it!! I made these this past weekend for my “girls” night and they were a HUGE hit! Absolutely delicious!! Thank you for the recipe! How did you get the rich color? When I tried making them mine turned out very frothy and a light pink/orange color. Any suggestions? These are great. 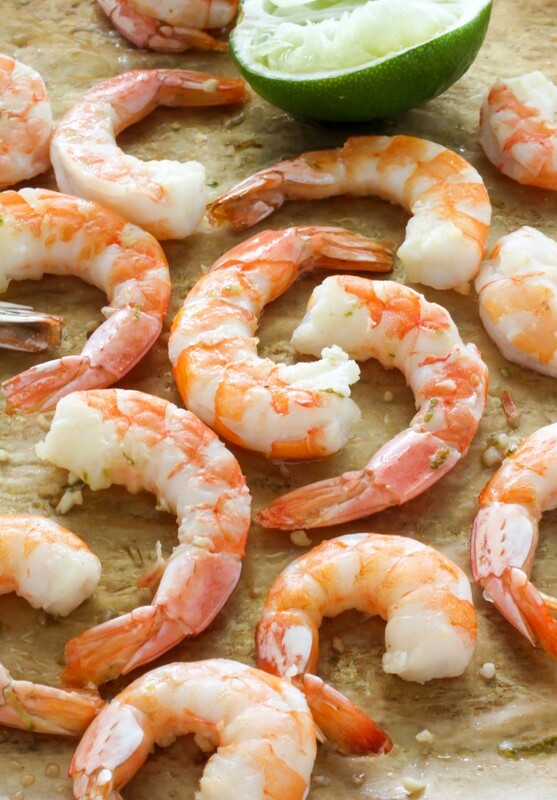 Easy to prepare and tastes yummy. I like that it’s not sticky sweet like drinks made with syrupy mixes.